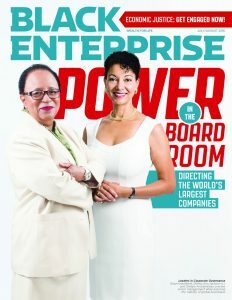 Any CEO weighing strategic decisions that determine the future direction and fate of stakeholders at one of the nation’s largest publicly traded companies would find himself in the best possible position, if Rensselaer Polytechnic Institute President Shirley Ann Jackson served on its corporate board–and for good reason. The former Nuclear Regulatory Commission chair’s experience and background–which intersects corporate, academic, and government worlds–has made her an invaluable asset to an array of boards grappling with critical 21st Â century business matters. Dealing with issues such as big data and high-performance computing (IBM); transportation and logistics (FedEx); energy efficiency (Public Service Enterprise Group); and biotechnology and life sciences (Medtronic) have all been a part of Jackons’ portfolio. As such, she’s adroitly handled the complexities and demands of multiple boards, in large part, because they overlap with her institution’s “signature research thrust areasâ€ as well as connects with her enthusiasm for effective corporate governance. “In lieu of what some people would call relaxation, I enjoy these things,â€ she says. BE Research produced the listing after spending several months reviewing proxy statements and annual reports, as well as contacting investor relations departments, corporate governance experts, and professional organizations, such as the Black Corporate Directors Conference and Executive Leadership Council. Here’s why our registry should hold significance for you: These business leaders are charged with the fiduciary responsibility to increase shareholder value by making decisions–everything from acquisitions and divestitures to executive compensation and corporate layoffs–that can ultimately maximize earnings, dividends, and the stock price. As such, these corporate watchdogs ensure the continued viability of American industry, including trillions of assets and millions of managers, rank-and-file employees, suppliers, and other stakeholders. Moreover, we hold to the same contention that the critical factors that drive 21st century competitiveness–continuous innovation, shifting demographics, and gaining a significant share of black consumer and business markets–means corporations can ill afford to operate without the presence of African Americans in the oversight process. In this year’s special report, we also examine African American female representation (see “Where Are Black Women in the Boardroom?â€ this issue). “A focus of mine is, if one is sitting on the boards, to look at the question of what those pipelines look like in those companies,â€ says Jackson. For four years, Black Enterprise has produced our registry as a measurement of boardroom inclusion, especially within the elusive tech sector. Our annual listing has had the impact of a sledgehammer related to the diversification of corporate governance ranks. CEOs and board nominating committees of the largest publicly traded companies have reviewed the list and, in many cases, immediately took steps to diversify their boards. State and local treasurers, pension fund heads, shareholder activists, institutional investors, corporate diversity organization honchos, civil rights groups, and even the Congressional Black Caucus, have used Black Enterprise‘s data to initiate their own advocacy efforts. As a result of sharing this information, a number of high-profile Silicon Valley firms eventually stepped up and placed African Americans on boards. For instance, Apple Inc. appointed James Bell, the former CFO and corporate president of The Boeing Co., making big news in corporate governance circles last September. His selection served as a bellwether sign for the advancement of board diversity at major Silicon Valley companies, since BE began its report in 2013, when we identified S&P tech companies that refused to seat African American corporate directors. It makes sense that Apple would select Bell since he holds a vast wealth of knowledge and expertise, as a 38-year veteran of the world’s largest airplane manufacturer. Not only did Bell guide Boeing through its most turbulent years, but he also retired as the highest ranking African American executive in its corporate history. 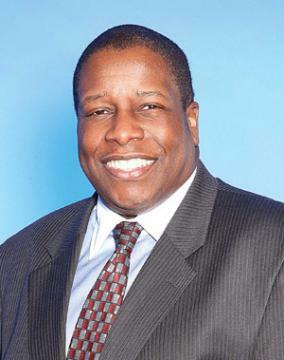 Since gaining the appointment, he has played vital roles on the Audit committee. Bell, who spoke to senior black executives at an ELC corporate board initiative forum, maintained that it was crucial for black directors to raise issues of companywide diversity at board meetings. “I’ve long admired Google’s and Alphabet’s positive impact on people across the globe,â€ Ferguson said in a press release. “I’m honored to join the Alphabet board and look forward to helping the company in its many terrific opportunities ahead.â€ He joined the U.S. Federal Reserve System in 1997 and served as its vice chairman from 1999 to 2006. He has also been a member of the board of directors for General Mills Inc. since December 2015.